It’s been a busy weekend in Oslo to say the least! Our Program Director, Joe Underhill has experienced it all. Please see below links to view the different events. 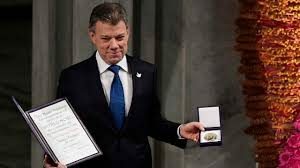 We look forward to hosting Colombia’s President and now Nobel Peace Prize Laureate in the near future!